Turnips 2 Tangerines has taken the Stirrings Stir It Up Holiday Mixology Challenge! 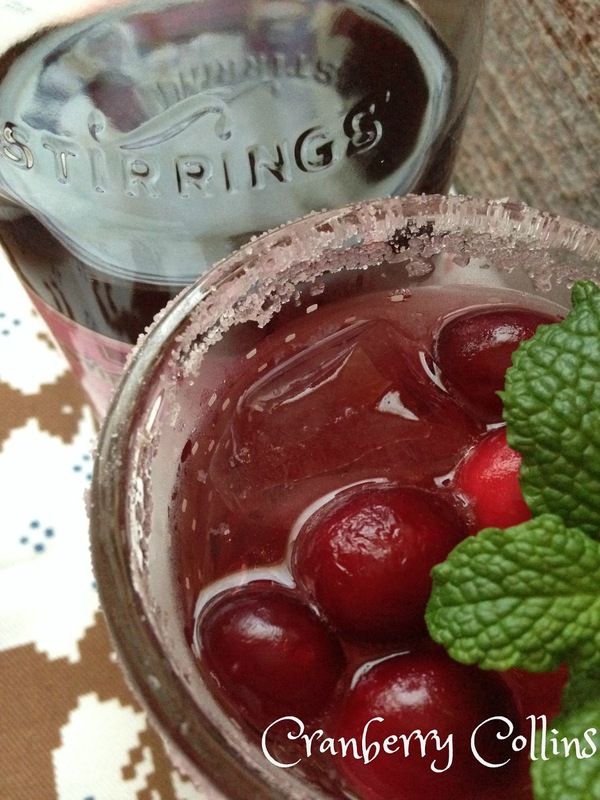 Stirrings is Creating Simply Better Cocktails. Stirrings is the maker of super premium cocktail mixers. 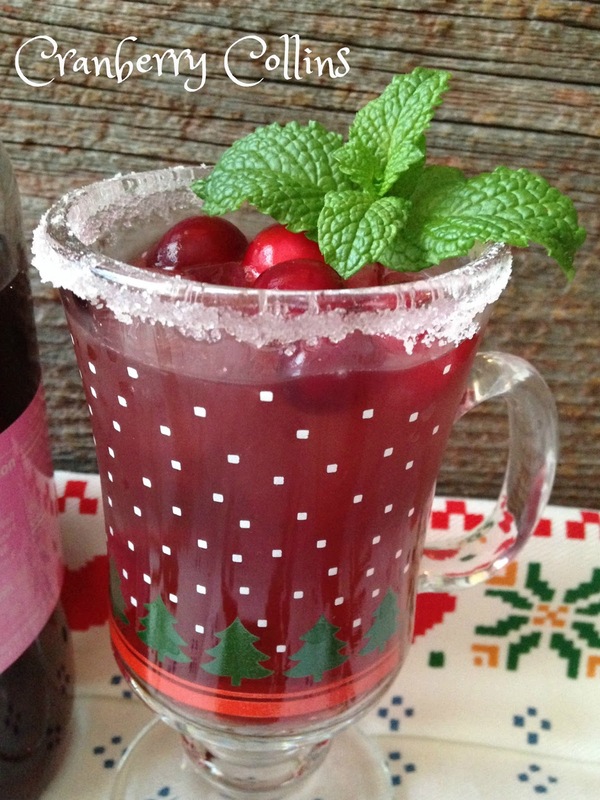 We have taken the challenge and will compete in the First Annual “Stir It Up Holiday Blogger Mixology Challenge.” Cranberry Collins is our version of the Tom Collins. This cocktail is our version of that 60’s classic the Tom Collins. Even though the Tom Collins is a drink that is somewhat forgotten, it’s still one of my favorite summer time drinks. 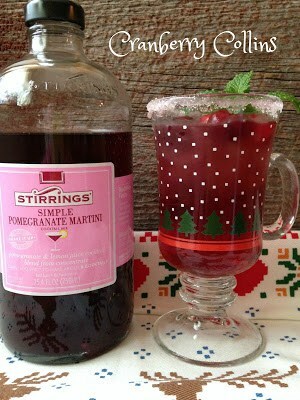 Perfect to sip, on a hot summer evening. I wanted to make a “winter” version of this classic and the Cranberry Collins was born. 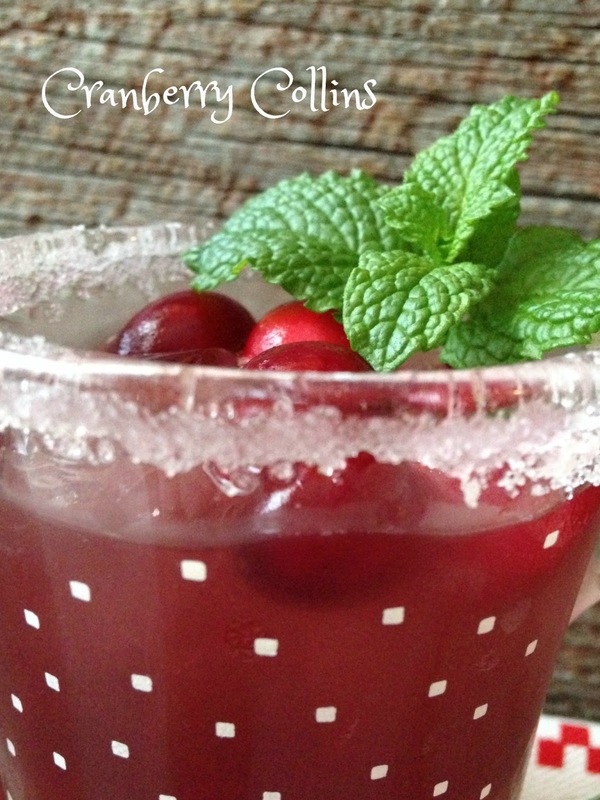 Cranberry Collins is made with cranberry vodka instead of gin that is normally used in the classic Tom Collins. Rub the outside rim of a collins glass with the lime wedge and dip it into the cosmopolitan rimmer. 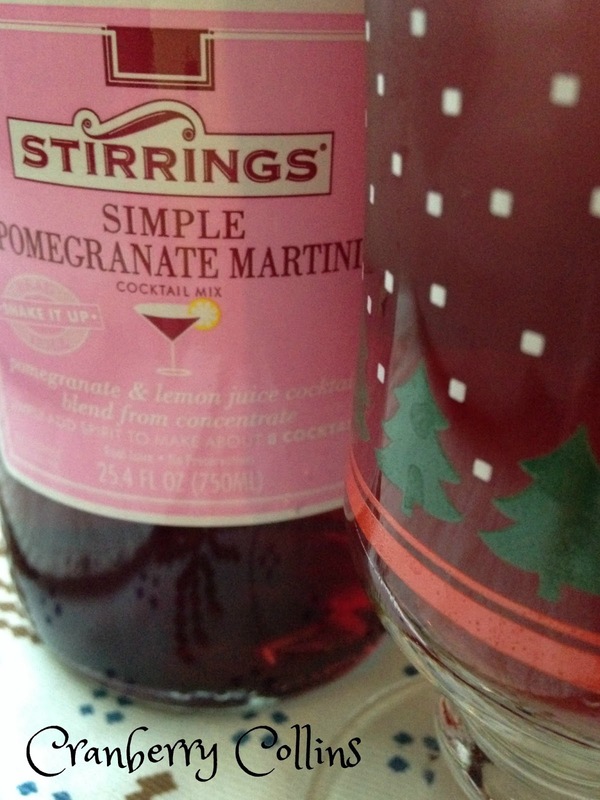 Shake the vodka, elderflower liqueur, cranberry-pomegranate juice and simple pomegranate martini over ice until well chilled. Strain into a collins glass with some ice and top up with soda water. Garnish with fresh cranberries and mint springs.